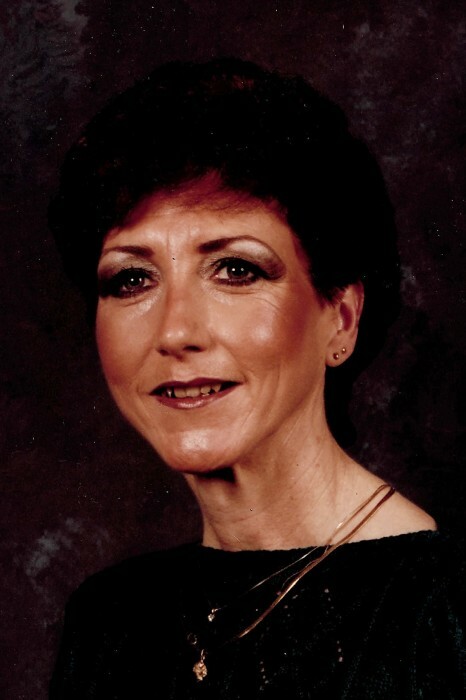 Minnie Kathy Arnold, 74, of Versailles, left her earthly home on Wednesday, January 16. She was born on July 16, 1944 in Garrard County, Kentucky, one of ten children of the late Luther and Susie Davis Graham. She enjoyed her job at Sargent & Greenleaf, working there until her health prevented it. She was also fond of shopping and a good cup of coffee. She leaves her legacy with son Norman Joseph “Joey” Keller III, grandchildren Andrea L. Strickland, Kimberly A. Keller, Kayla Keller, and great grandchildren Tanner Turpin and Octavia and Sadie Simpson. Also left to treasure a lifetime of memories are the love of her life for the past 44 years, Ernest Lancaster, two sisters Erbie Jean Snapp and Tootie Goins, and a host of nieces and nephews. Kathy was preceded in death by brothers Ray, Charles, Millard, and Sammy Graham, and sisters Geneva Woodard, Omie Griffin, and Carol McKnight. Her family will honor her with a Graveside Remembrance Service at Bluegrass Memorial Gardens at 1:00 PM Monday, January 21, where she will be entombed in the Mausoleum. Honoring her as pallbearers will be Dwight Lancaster, J.W. Bruner, David McKnight, Daniel Sizemore, Ernest Lancaster, and Joey Keller. Honorary pallbearer will be Don Hughes. The family will greet friends beginning at 11:00 AM and ending at 12:30 PM Monday at Hager & Cundiff Funeral Home. “If ever there comes a day when we can’t be together, keep me in your heart. I’ll stay there forever.” Hager & Cundiff is honored to be chosen to serve Kathy’s family.